Data sharing is an essential feature for replication, self-correction and subsequent research. While most researchers principally embrace the idea of replicability and self-correction in science associated with data sharing, the wide majority of empirical work cannot be replicated as data and codes are not fully available. We provide evidence for the status quo in economics with respect to data sharing using a unique data set with 488 hand-collected observations randomly taken from researchers’ academic webpages. Out of the sample, 435 researchers (89.14%) neither have a data&code section nor indicate whether and where their data is available. We find that 8.81% of researchers share some of their data whereas only 2.05% fully share. We run an ordered probit regression to relate the decision of researchers to share to their observable characteristics. We find that three predictors are positive and significant across specifications: being full professor, working at a higher-ranked institution and personal attitudes towards sharing as indicated by sharing other material such as lecture slides. Andreoli Versbach, Patrick and Frank Mueller-Langer (2013), Open Access to Data: An Ideal Professed but Not Practised, RatSWD Working Paper Series No. 215. In my opinion this paper is a valuable contribution to the discussion about data sharing incentives and practices in economics. It shows that there is still a long way to go to establish data sharing in this scientific discipline. Interestingly, the paper also suggests that the career concerns of young researchers might play a role in the decision to share data. 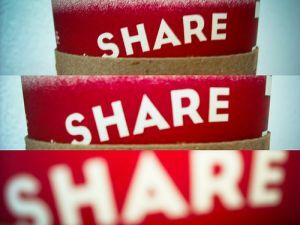 Data sharing creates competition as it permits other researchers to use a data set before its creator can fully exploit it in further research. As an additional publication is arguably more valuable in terms of career concerns for (untenured) junior scholars than for full professors, it is not surprising that full professors share their data more frequently. This finding suggests that optimal mechanisms to incentivize data sharing may depend on the status of researchers. The full paper is available at SSRN.